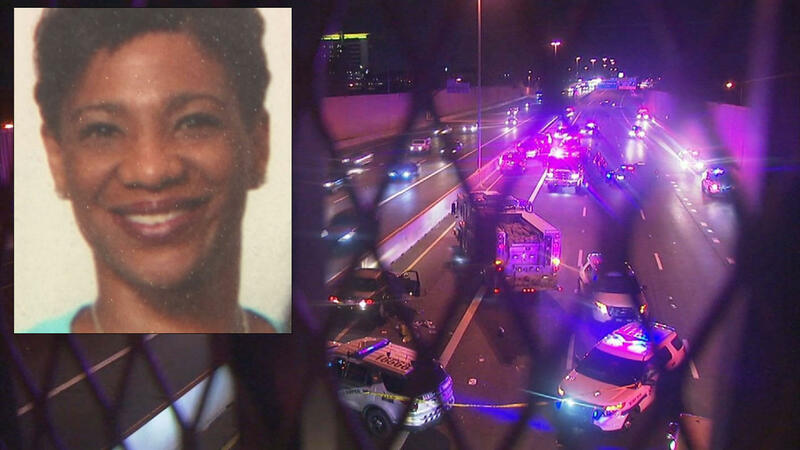 PHOENIX -- A woman who was fatally shot on a Phoenix freeway made nervous pleas for help to a 911 operator as she was chased by three men in a pickup truck. A transcript of Dinya Farmer’s call to the 911 operator was released Monday, nearly two weeks after the 49-year-old was attacked while driving on State Route 51. Farmer died at a hospital after she crashed into a freeway median on Sept. 7. No arrests have been made in her death. The transcript reveals that Farmer called 911 while a white pickup truck was following behind her. Farmer said before she got on the freeway, the men appeared to be getting out of their truck to approach her at a stop sign. She sped away and they pursued, she said. The Arizona Department of Public Safety received five or six 911 calls about 7:20 p.m. about a white work-type truck that had been driving aggressively, reports the Arizona Republic. “Ma’am are you OK?” The 911 operator asked. Moments another operator received a report about a car crash and the two realized the car likely belonged to Farmer. Sgt. Jonathan Howard, a Phoenix Police spokesman, said police are still searching for new evidence in the case. “We’re really trying to work backward to follow her route to see if there is any surveillance cameras along the path that may provide some evidence,” Howard said. Police are trying to determine the motive behind the attack. Investigators have said the circumstances of the shooting don’t point to random violence or a traffic dispute. The truck was described as having a ladder rack and a tool box. Howard said investigators really need people who were in the area at the time to call in with tips. While the white truck with the tool box and ladder rack is still the primary suspect vehicle, Howard urges people to have an open mind. “People can change. People can take the ladder racks off. They can take the tool box out. They can stop driving it. But that may be an indicator in itself. If you see somebody in the neighbor that has changed the appearance of a vehicle that sounds similar those are the calls we’re looking for,” said Howard.